Two MileAsh school held a competition among the student body to design the T M A letters as creatively as possible, the winning designs were combined and painted with arkadegrasphics on the three boards outside school. 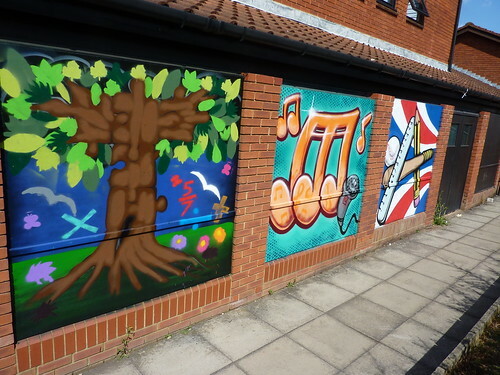 This entry was posted in Commissions, Workshops and tagged Art workshops in schools, arts, design, illustration, school murals, Two MileAsh school Milton Keynes, winning designs. Bookmark the permalink.